Sidas products are designed to fit your feet perfectly, so they are well cared for and comfortable. Because your feet are unique! We need our feet for balance as we spend a large proportion of our lives standing or walking. And it is our feet which carry our entire body and support all our movements. The foot’s strength and mobility enable us to move forward naturally. Though we all come into the world with two feet, every foot has its own shape, size, volume and form. In our approved centers we can analyze your feet to help provide them with the comfort they deserve. The Sidas 3Feet Digital corner is an interactive unit made up of a platform which measures your foot in order to provide you with an accurate analysis. Take advantage of our expertise to understand and get to know your feet better. You know your feet are unique, so why not wear shoes which fit them perfectly? Whether you have flat feet, normal or high arches, mass produced shoes often don’t meet the complex needs of your feet. And your feet need different types of comfort depending on the sports you do or the time you spend standing or walking. So it’s time to find the shoe that fits! 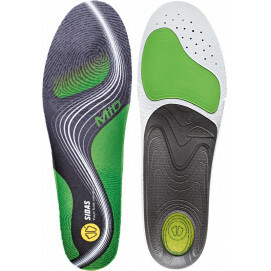 The sole of the shoe acts as a guide and provides alignment and stability. They provide us with maximum comfort for sport or just for day-to-day mobility. The analysis of your feet will help you to discover exactly which type of sole to wear. Whether you have a high, medium or low arch, the soles absorb shocks and prevent injury. 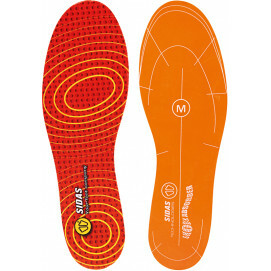 Discover our range of Sidas soles for running, cycling, skiing, or hiking. Would you even dream of wearing your left shoe on your right foot? Of course not! So why choose which don’t give you the same choice? Sidas socks adapt to the shape of your feet, suiting the different profiles of the right and left feet. 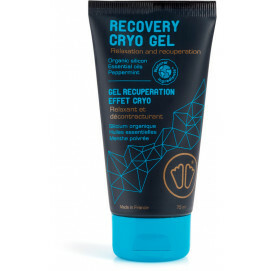 They will help you to avoid blisters, rubbing and any other type of friction on your skin. Sidas has developed a wide range of socks which meet the needs of all your activities. Do your feet get cold in the winter? Choose a pair of heated socks to take care of your feet and the rest of your body. Are you a runner? Choose socks which will help you get the best out of your runs and which will keep injuries to a minimum. You have been wearing your shoes all day. You’ve sweated, put up with rain or snow, and your shoes or ski boots are in a terrible state. Don’t wait until tomorrow to take care of them. To ensure perfect comfort, clean your shoes and boots regularly with a shoe dryer. Our DryWarmer will enable you to dry any kind of shoe and glove, making them instantly warm and comfortable. The Drywarmer has a UV light option which provides antibacterial cleansing. Sport is a stressful activity for the skin. It is important to protect your feet before sport in order to prevent injury and to enable swift recovery. Sidas has developed a range of new creams and gels to protect your feet. Their texture and shape blend into your skin during exercise. Forget all about aches and rubbing. Change your habits and treat your feet with the respect they deserve for the role they play in your everyday life, because remember that your feet support your entire body!